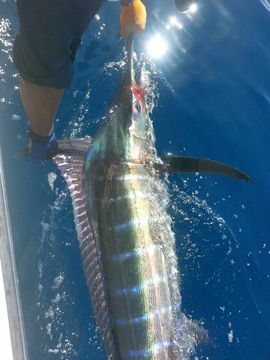 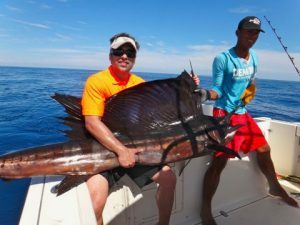 The third week of January anglers were repeatedly gifted with the abundance of billfish which included Black Marlin, Blue Marlin, Striped Marlin, Pacific Sailfish and the early Yellowfin Tuna which arrived in the gulf of Chiriqui along with Dorado, Amberjack, Snapper’s to name a few. Sheldon group, Eric Fernandez, Vasquez group and Jacob Hasten arrived to provided the action. 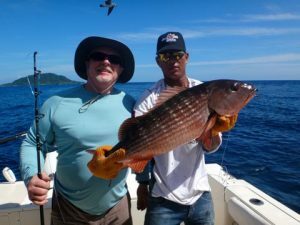 This week the Gulf of Chiriqui provided us beautiful visual water clarity and 3-4 foot swells on our way out to the action, with the occasional and continuing North/Northeastern wind. 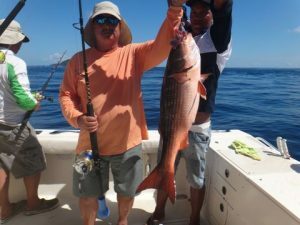 We did have 1 days of green water which we came across in and around the Isla Ladrones fishing area but we by-passed that area and continued South. 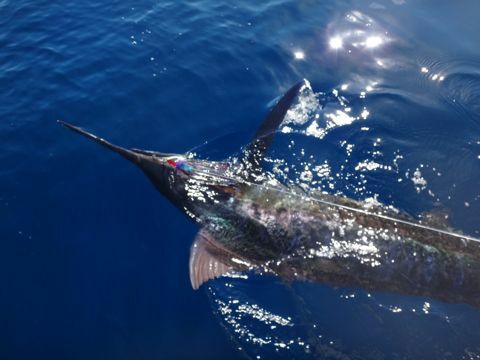 For future anglers looking to land billfish this has been the continuing trend during the month of January. 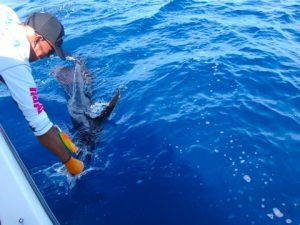 These pelagic’s take over the Triangle area in the Gulf of Chiriqui and provides lot’s of billfish action during the course of the day. 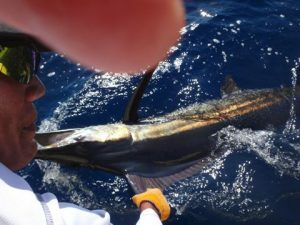 Big bull Dorado’s will crush a large trolling lures or even a live slow trolled bonito while targeting the billfish. Barracuda, Rainbow Runner, Tripletail, Roosterfish, Bluefin Trevally, Golden Trevally, Jack Crevalle, Black Snook, Long-Spine Snook, Sierra Mackerel, Triggerfish, Pacific Needlefish, African Pompano and a few others. 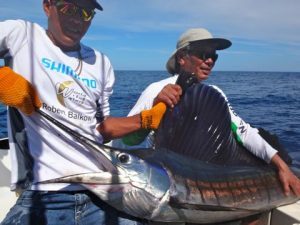 We would like to express our sincere gratitude to all our anglers that trusted Come Fish Panamawith their fishing adventures. We look forward to seeing them and you in the near future. 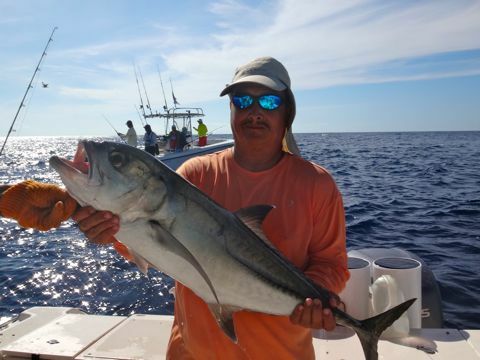 To catch up with these and other past anglers’ photographs, visit our Photo Gallery.